Friends help make your life easier, sweeter, better. Dreena Burton is just such a friend to any vegan family. She has written five vegan cookbooks that are filled with delicious whole-foods based recipes that can take you from everyday meals through special occasions. She also is the creator of the wonderful website, Plant-Powered Kitchen. Dreena's newest book, Plant-Powered Families, takes her care for vegan families to a whole new level. Not only does the book contain over 100 family-friendly recipes, but she also talks families new to plant-based eating through issues including how to stock your kitchen, how to create meals that meet the nutrition needs of growing children and satisfy even picky palates, and she provides menu plans, too. 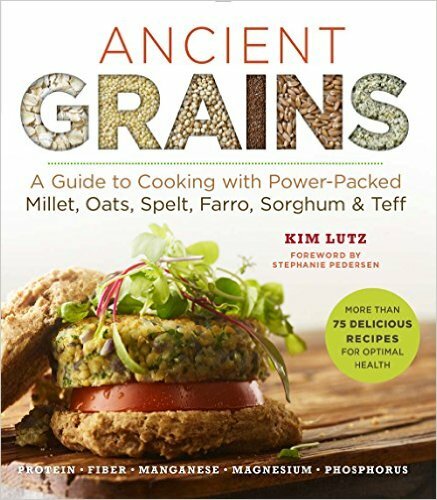 Even if your family doesn't eat wholly plant-based, this is a wonderful resource. The recipes are easy and tasty. They use whole foods, minimal oils and added sugars. Because the book is vegan, it's a great tool for egg- and/or dairy-allergic families. Also, many of the recipes are gluten-free or have a gluten-free option. There are options to keep things nut-free, too. Photo by Nicole Axworthy from Plant-Powered Families used with permission. 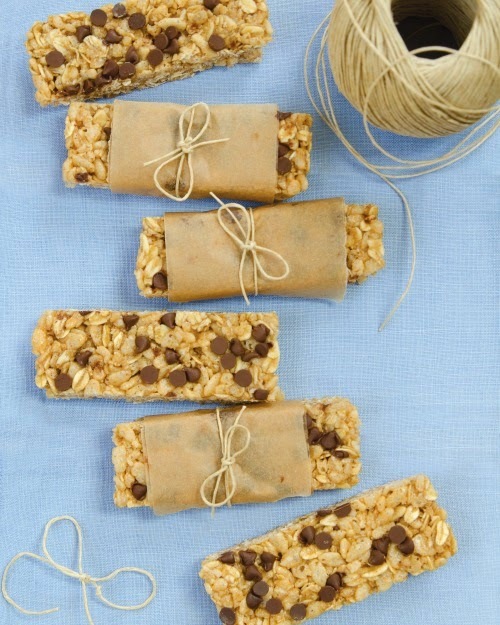 These bars are perfect for school lunches because they are nut-free and pack very well. Plus, they are pretty simple to put together! Remove the pot from the stove. Swiftly stir in the cereal and transfer the mixture to prepared pan. Press mixture evenly into the pan (using a nonstick spatula or piece of parchment paper). Wait just a minute, and then sprinkle on the chocolate chips and press those into the base. 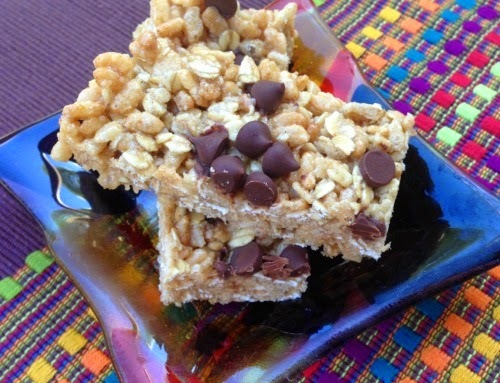 Refrigerate until fully chilled (at least 1/2 hour), then cut in squares or bars. Coconut Butter Note: Coconut butter works well here because it is so dense and helps bind the bars. Because coconut is not botanically a nut, these are also perfect for school lunches. Raisin-spice: Stir in 3–4 tablespoons raisins, omit the chips, increase the cinnamon to 1/2 teaspoon, and add 1/4 teaspoon of nutmeg and 1/8 teaspoon of allspice. Cranberry–pumpkin seed: Stir in 3–4 tablespoons of dried cranberries and substitute pumpkin seeds for the coconut. Cocoa-hemp: Substitute 2 tablespoons of hemp seeds for the coconut, and add 2 tablespoons of cocoa powder (when mixing in the oat flour). Keep the chocolate chips, oh yes! Want more? Enter to win your own copy of Plant-Powered Families! Want to try some more recipes from Plant-Powered Families while waiting to get your own copy? Go Dairy Free has Creamy Vegan Fettucine . Stephanie Weaver has White Bean Guacamole. Healthy Blender Recipes has Creamy Vegan Fettucine. Ricki Heller has Super Stuffed Sweet Potato. I am the mother to a [healthy] food-loving 2 year old, and have another little one on the way (due this July!). I love finding new healthy and delicious recipes that my whole family can enjoy! I've been hearing rave reviews about this book and I would love to win a copy! I love Dreena's recipes, everything I've tried of hers always comes out fantastic, and I'm really looking forward to this her next cookbook! I have "Eat Drink & Be Vegan" and love it. Plus, some of my favorite recipes come from Dreena's blog. I don't have weegans but hopefully I'll have grandkids someday that I can feed tasty vegan food! Thanks for the giveaway! Your recipes look amazing. I would love to win your recipe book as I'm just becoming a 'step parent' and need some fun, delicious, healthful food for the family. 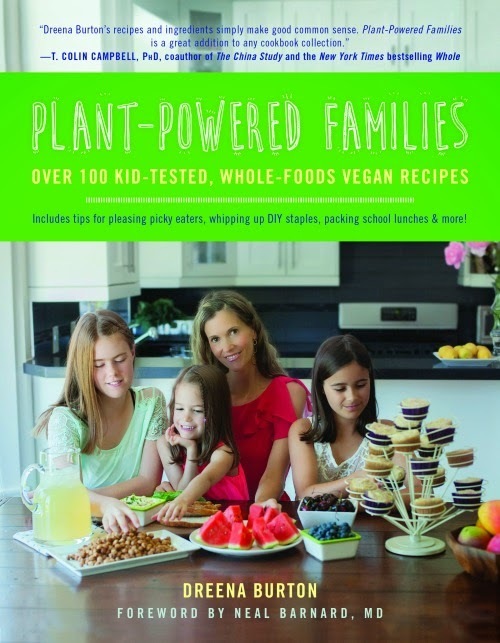 I would absolutely love to win a copy of plant powered families! I'm just starting to switch to more plant based eating for me and my family so easy to follow recipes and ingredients lists would be extremely helpful. I'm hoping eating more plant based foods can help put my chronic hives to remission or get rid of it completely. I would love a copy because I cook plant based at home for my family of 5! I like Dreena's recipes but don't have any of her books. This one looks like a good one for me! I love your website and hope to win a copy of the book! 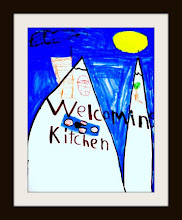 I love that Dreena's recipes appeal to kids and adults! I can't wait to try some of the recipes from her newest book! Dreena's recipes are favorites... we have several of her cookbooks and it would be fabulous to win a copy of her latest. Thank you for a chance! I love that these meals are kid tested. They would be great for my family. I'd love to win. I have a couple of her other books, & they're fabulous! I'd love to have a copy of Dreena's new book to give to my brother's family. My nephew has multiple food allergies and has become a very picky eater, and I'm hopeful that at least some of Dreena's tricks and recipes would help. Of course, I'd have a look through the book before sending it their way... and I guess I'd end up buying a copy for myself too! I would love a copy of Dreena's new cookbook! I have Eat Drink and Be Vegan and love all the recipes for my family. Can't wait to see what is in this new cookbook! Dreena is my all-time favorite chef; her recipes are so simple but amazingly delicious. I really love all her cookbooks and recipes on her website! Always excited to see all her amazing creations and be inspired in the kitchen! I would love to win this! I recently switched to a plant based diet & I could really use some new recipes! I'm incorporating more plant based food into my diet and would love to have a Dreena's cookbook help me make some delicious recipes. Love Dreena! My first cookbook of her's was Let Them Eat Vegan and it's still one of my faves! I have been moving toward a vegan life after being vegetarian for over 38 years. So I could use some creative ideas and recipes to help me accomplish my transition. I'm slowly working my way to a plant-based diet, and this recipe book would be a great resource for the journey. 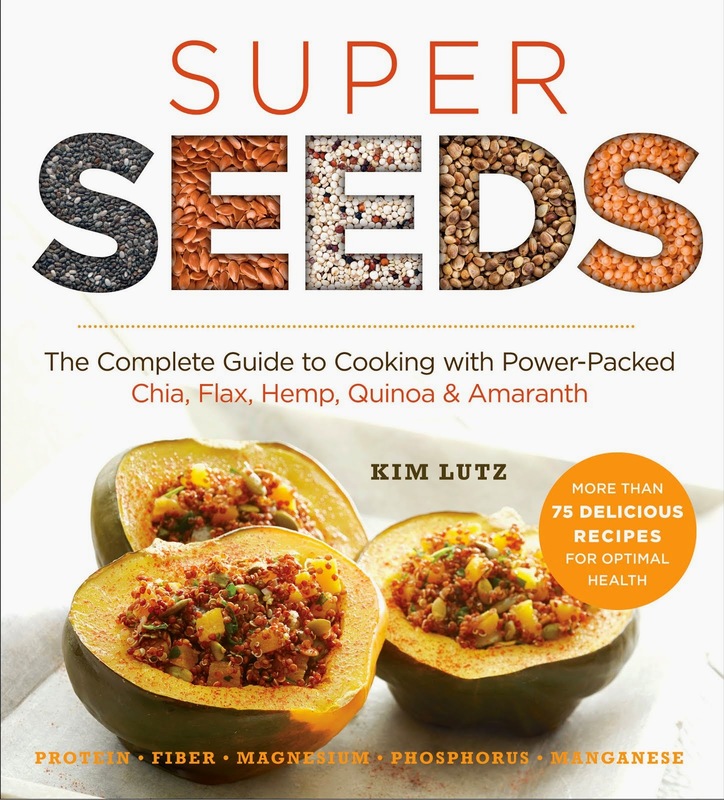 Honestly, as much as I would love to have this book I would love to give it to a friend who is plant-powered curious. I would love to help her and her family to become plant-powered! I'm hoping to buy a copy and win a copy. One I'll keep for myself, and the other I'll give to my daughter for her plant-powered family. I can't wait for this book. I'm sure it has tons of recipes to share with my omni friends! Why do you want to win a copy of Plant-Powered Kitchen by Dreena Burton? I was vegan before I had children, and now have a vegetarian daughter, and want to get back to a more vegetarian/vegan diet as I was before. I think it would not only help me to feel better, but give a good example for my daughter who also is choosing to refrain from animal products. Thanks for this wonderful giveaway. I am a huge fan of Dreena's cookbook and would definitily enjoy to have her latest book for other ideas. All her recipes are always à succès here. Love Dreenas books and recipes and with 2 kids it will be awesome to win this!! It would be so wonderful to win a copy of this book. My 2 year old daughter has just been diagnosed with juvenile arthritis and I am set on healing her through a healthy diet. This book seems like it would be a great way to get us started! I'd love to win. Sounds likes lots of good recipes to try!!! I would love to win a copy of this book because I don't own any others by Dreena and I think this would be a great start. I am a mom of an almost 2-year-old and another due in July. I am really interested in her chapters on picky eaters and ideas for parties in the future. I would love to read about her experiences raising her daughters vegan since I am just getting started with mine.